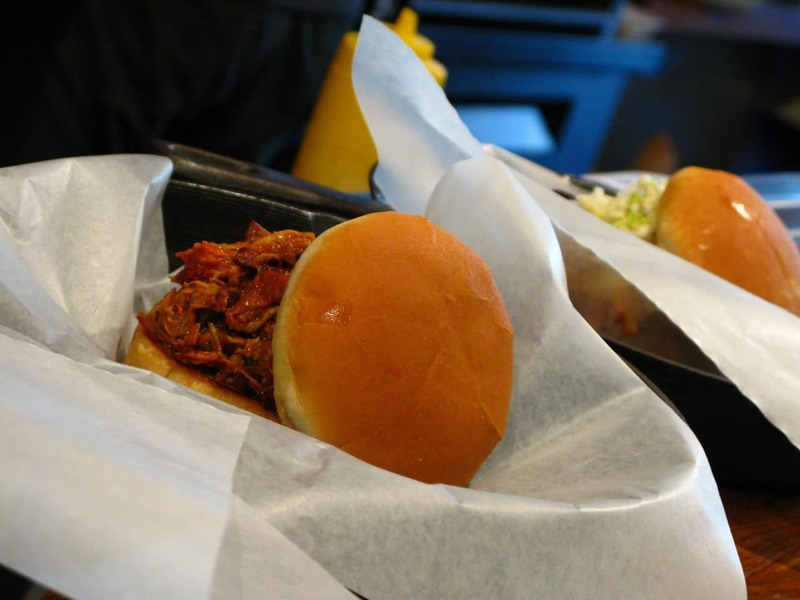 Stockyards Smokehouse and Larder is no run of the mill BBQ joint. 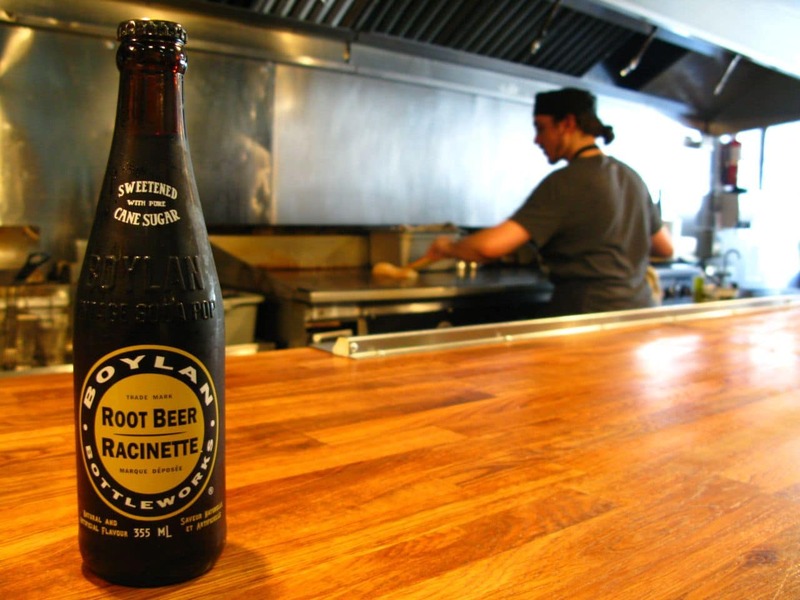 The popular spot on St. Clair specializes in hand-smoked items like North Carolina pulled pork, Montreal-style pastrami and Roman porchetta as well as deep fried delicacies such as Spanish salted cod with chorizo fritters and classic Southern fried chicken. 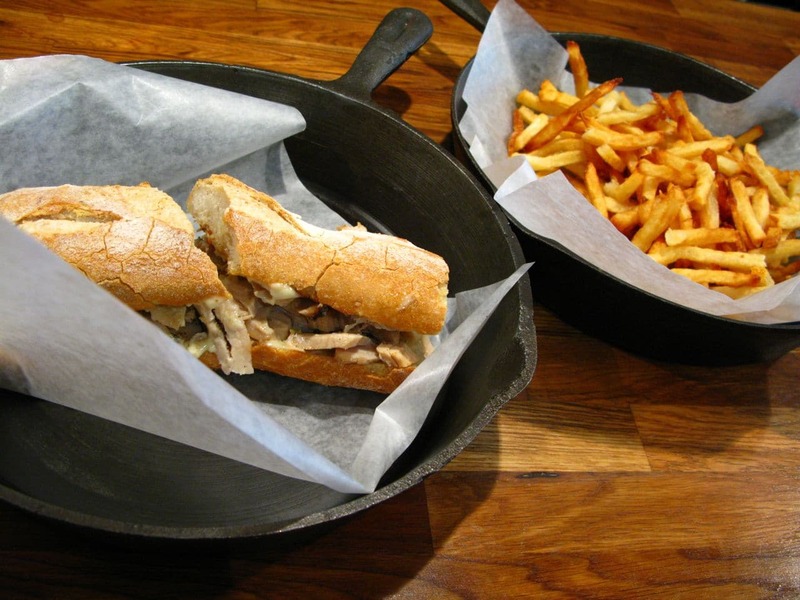 All the food here is served wrapped in wax paper and propped inside cast iron pans. Highlights from my Stockyards feast include the Porchetta Sandwich (with fennel garlic scented pork loin, pork belly, and cracklings served on a baguette, with garlic aioli) and BBQ Pulled Pork Sandwich (apple and hickory smoked pork shoulder topped with coleslaw and Stockyards BBQ sauce).